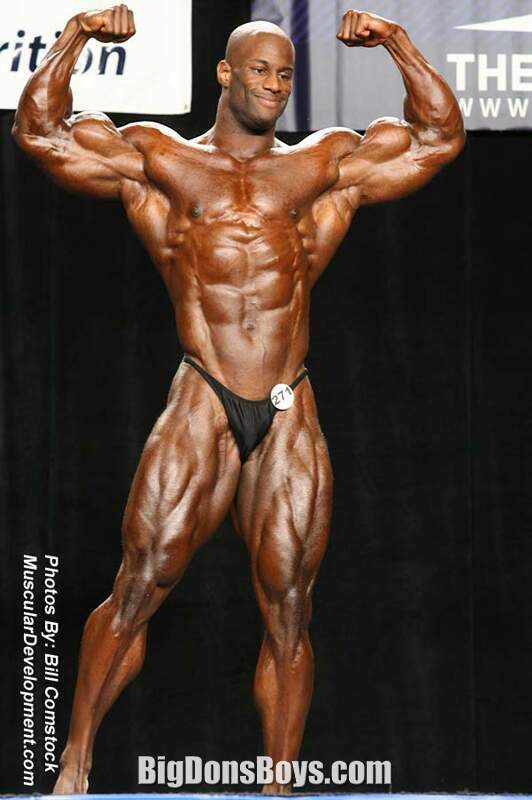 I must admit the bodybuilders on this page are on the short side: 6'1" (1.85M). Of course, for bodybuilders that is an enormous height. Most are quite short since it's easier to bulk up when you are small. 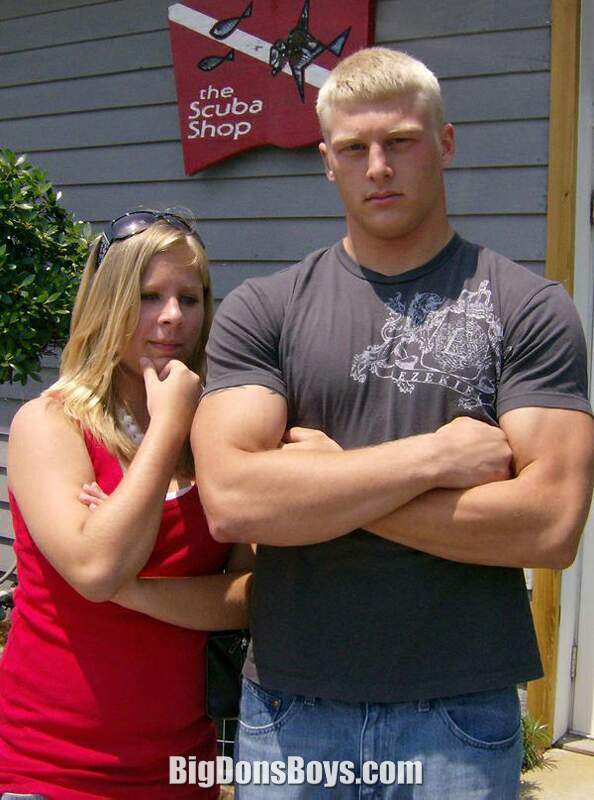 Huge guys like Steven Frazier (left) have to end up eating a dozen eggs for breakfast just to stay the same weight. His weight during a contest is a mere 250 lbs. (113 kg) but balloons up to over 300 lbs. (136kg). 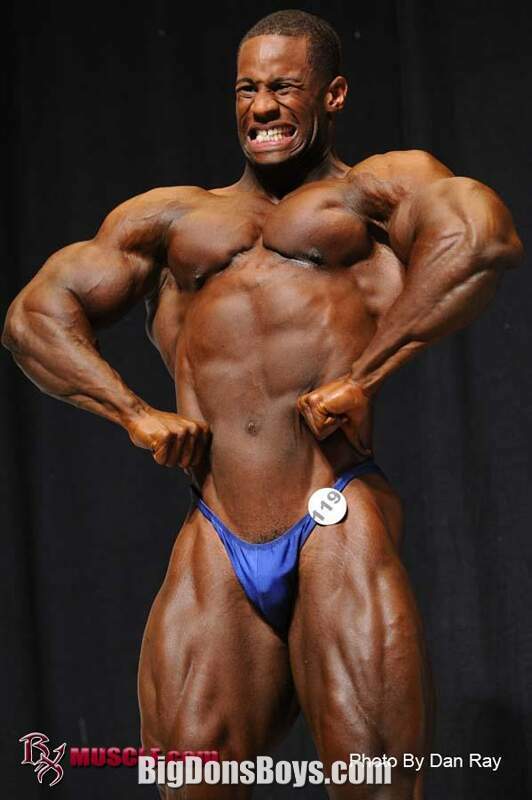 during the "off season" between bodybuilding shows when he tries to gain as much weight as possible. He owns the South Grand Prarie Fitness Center in Texas. What keeps him motivated to stay so massive? On his website he writes "An athlete since the age of six, I have always been active in sports. During childhood and into my teenage years I played everything from soccer to baseball to football to basketball. An all-around athlete, I enjoyed basketball the most and played often with my friends in the neighborhood. 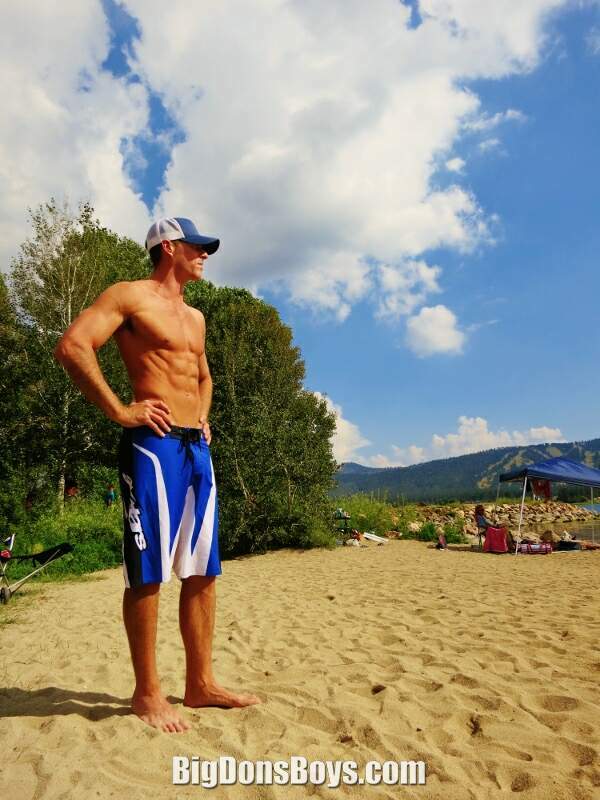 Although all these sports required endurance and some mild training, I never really showed any genuine dedication to just working out. 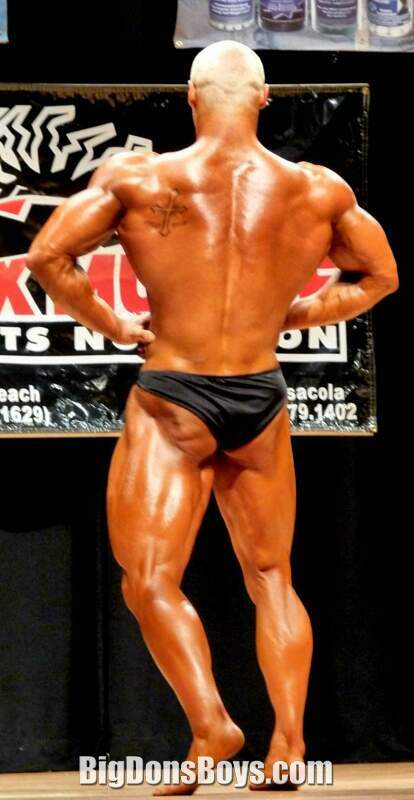 It was during my college years that I first became interested in bodybuilding. My interest in weight training was purely for building muscle and personal strength. 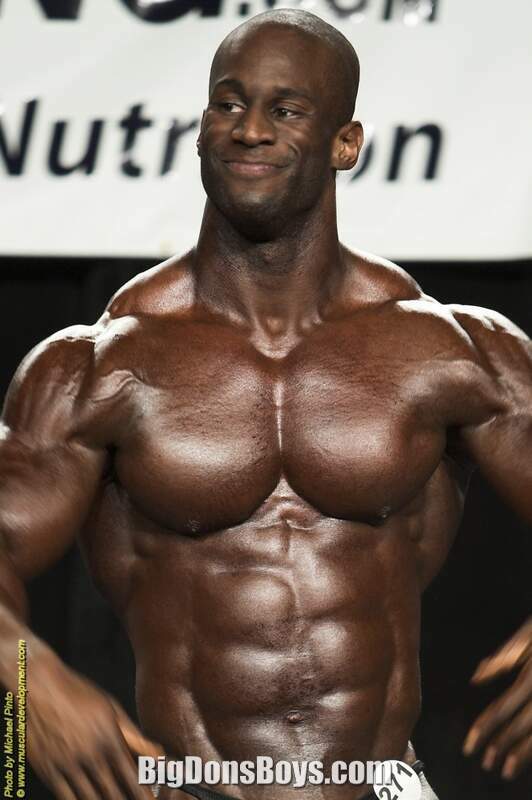 I have been a competitive bodybuilder and a certified personal trainer for 9 years. My quest is to be the best built man on the planet one day, and to be remembered forever. 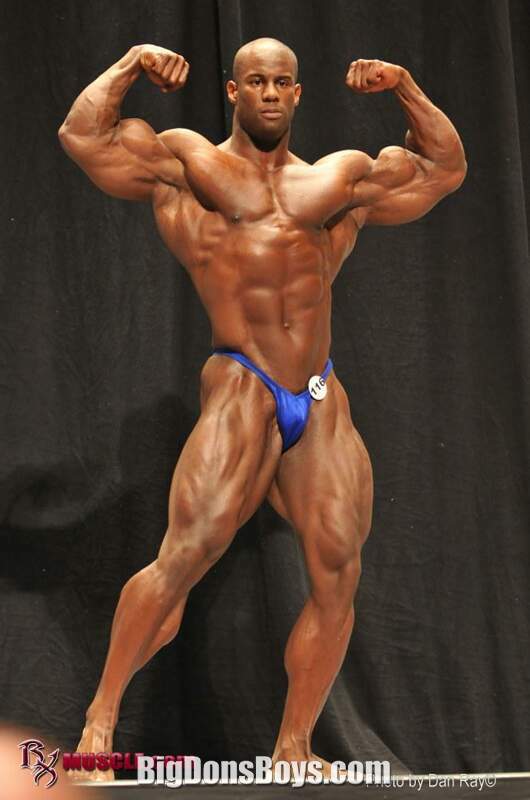 I earned my IFBB Pro card status at the 2012 NPC USA. I enjoy doing charity work throughout the year, such as visiting schools and reading to kids." 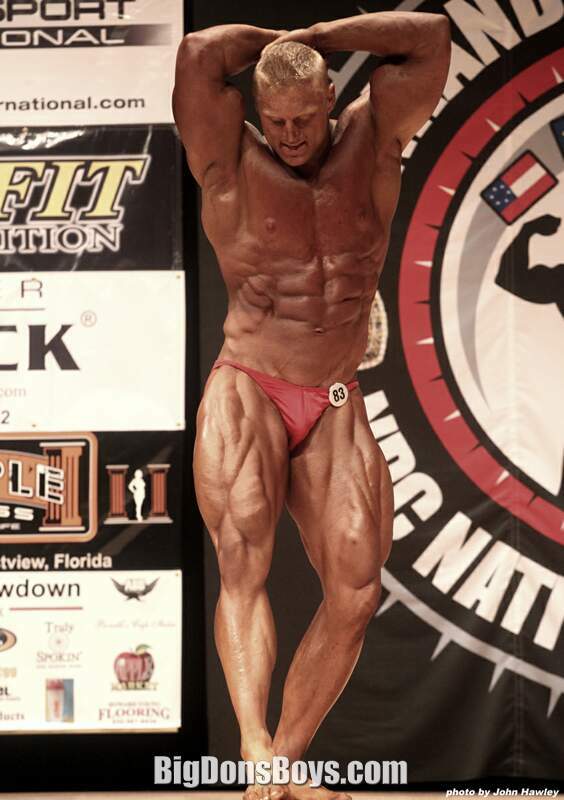 Bodybuilder John Blatz is a personal trainer who has competed in contests since 2009. His competition weight is 235 lbs. (106 kg). 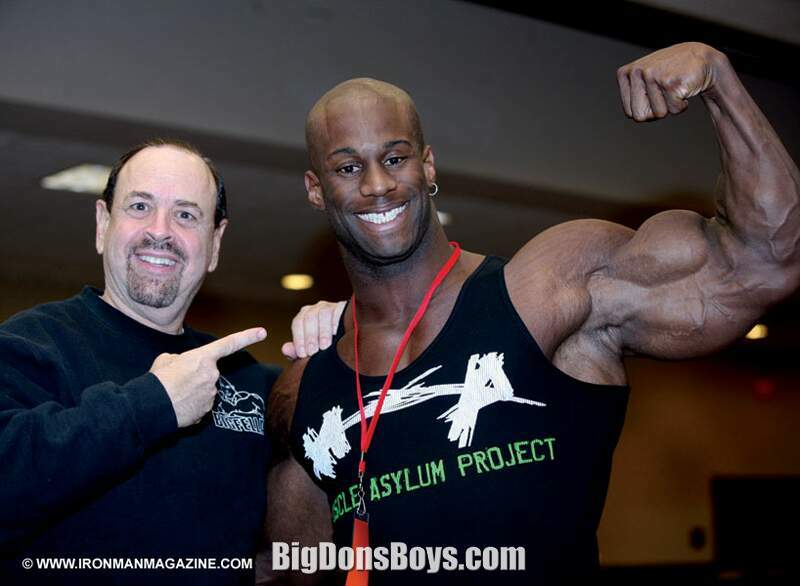 He writes on his website "my passion revolves around being a professional bodybuilder. I currently am a personal trainer at our local Gold's Gym & love every minute of it. I enjoy watching my clients progress & reach their goals as I have throughout my life. I spend a good amount of time & money dedicated to being successful. I have 2 young children and a baby on the way. My wife works full time & completely supports all the time, money & effort that it takes for me to be successful in the Bodybuilding Industry. Bodybuilding is a lifestyle and can lead to careers not only as a bodybuilder but also as a model, actor, supplement representative & more. 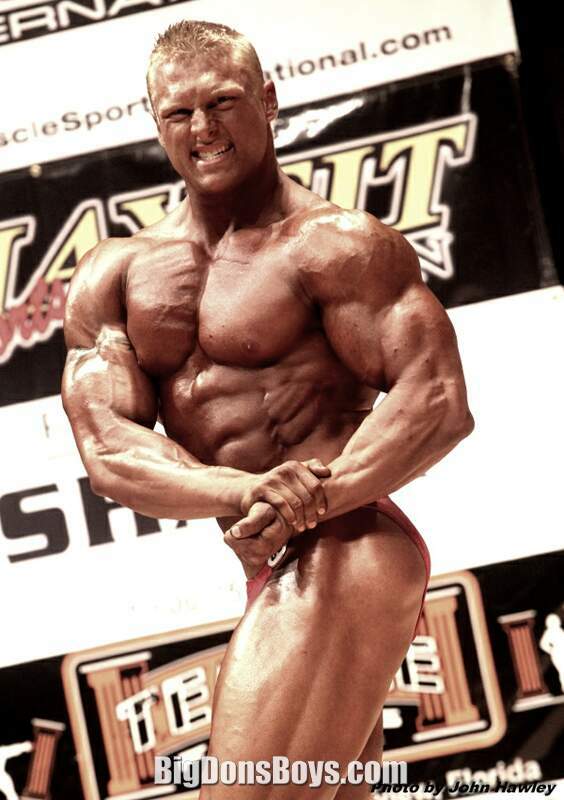 I follow pros such as Jay Cutler, Phil Heath, Evan Centipani & Shawn Ray & I see myself representing the world of Bodybuilding as a Career & Lifestyle. " 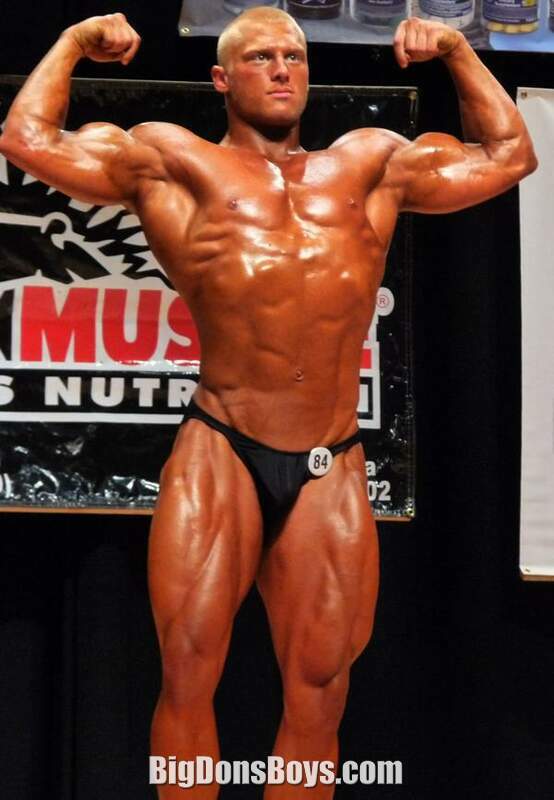 Fantastically overbuilt Bulgarian Dimitar Dimitrov is practically as wide as he is tall! 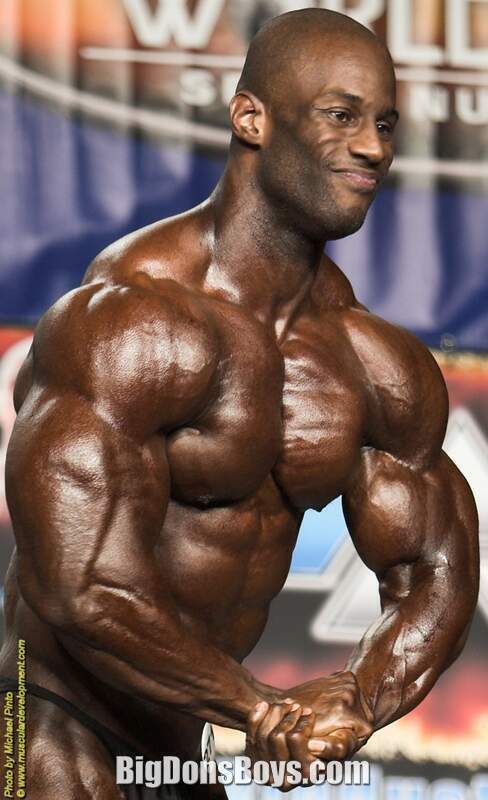 Born in 1974, he has been a pro bodybuilder since 2003. He was the overall Bulgarian champion from 2004-2006, the Balkan overall champion for 2006 and 2008 and overall European champion in 2008. Unfortunately not much is known about him as he does not promote himself much. 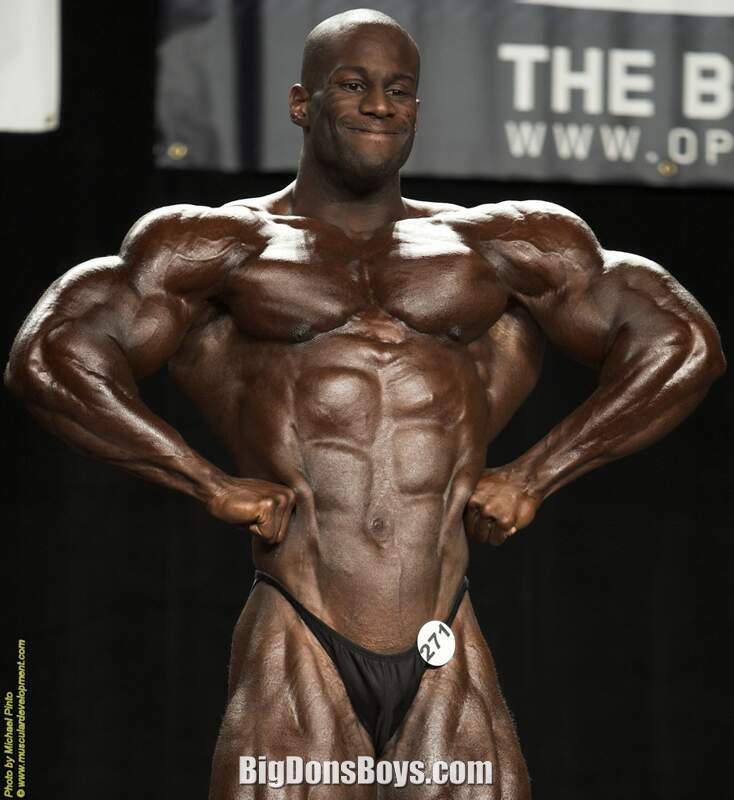 Bodybuilder Steven Frazier warms up backstage before guest posing at the 2008 NPC Ronnie Coleman Classic. I'm sure he is much bigger now!